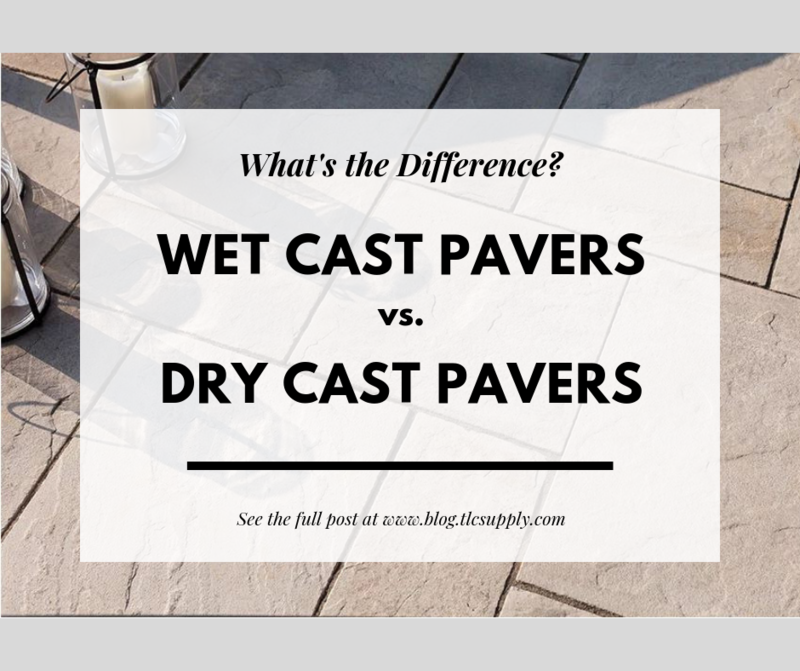 Wet Cast Pavers vs. Dry Cast Pavers: What is the Difference? While the aesthetics of your concrete paver are an important part when selecting what will be best for your project, knowing how the paver is made is just as important. Ensuring the paver is suitable for the job will help the overall longevity of the projects lifetime. There are two type of concrete pavers: Wet Cast Pavers and Dry Cast Pavers. What is the difference between Wet Cast Pavers and Dry Cast Pavers? 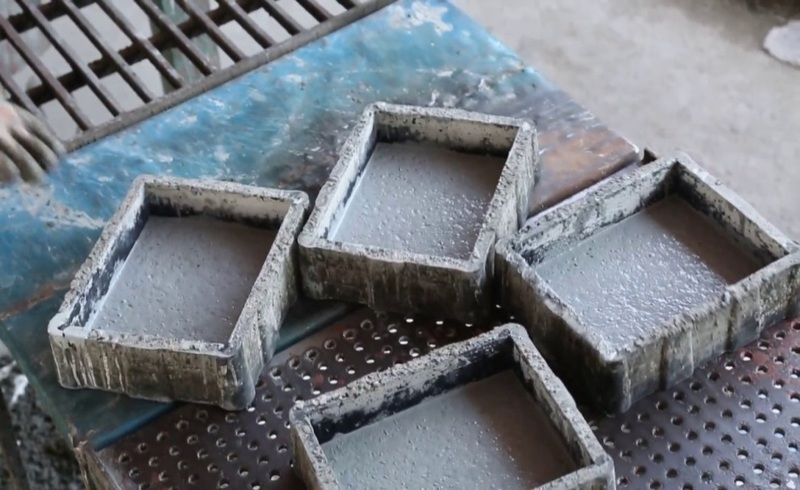 The Process: As the name suggests, the concrete used in manufacturing wet cast pavers is typically quite liquid. This concrete mix is poured into a mold shaped for the paver and then vibrated to release air bubbles from the mix. The curing process for wet cast pavers is much longer than that of a dry-cast, making it more labor intensive to produce. Once this concrete is cured, the mold is removed and the pavers are palletized and ready for shipping. Dry cast, as it sounds, is a concrete mix with very little water. These are the pavers we typically think of when picturing a paver block. Dry cast paver mixes are similarly placed in a mold, but are then compressed with very high pressure, complex machinery. The compressed molds are cured on racks before being palletized. 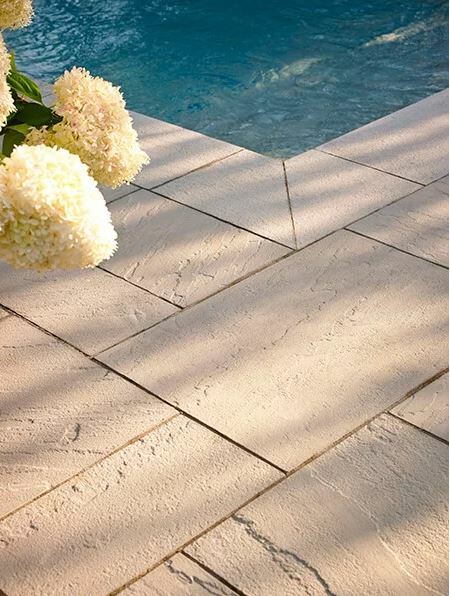 Because these pavers are air-cured they can be produced quickly and affordably. Color & Finish: Wet cast pavers often feature more bold color tones, smoother and more intricate surfaces, and can better imitate natural stone. While dry cast have historically been more simple and basic in color and texture, modern manufacturing has made color blends and surface textures more desirable. Strength: Both wet cast and dry cast pavers are suitable for residential projects such as driveways, walkways, and patios. When considering a paver for a large-scale commercial project, dry cast is a more suitable choice. 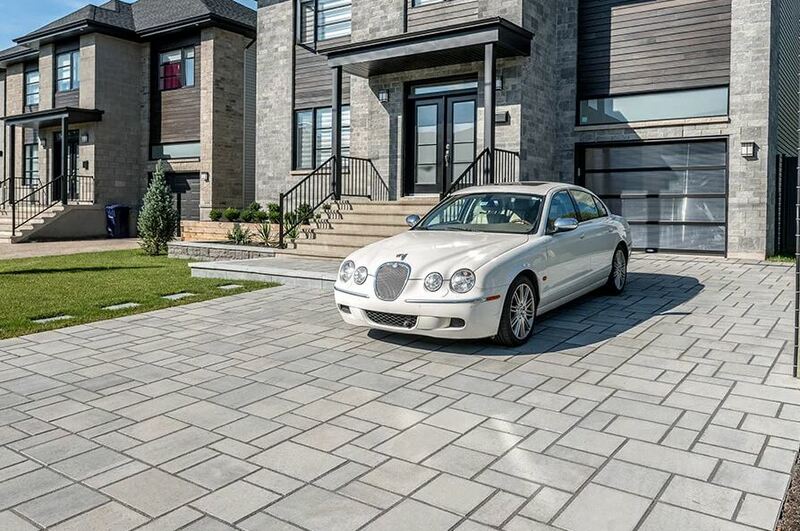 Dry cast pavers have a more optimal water to cement ratio making them incredibly strong and high strength, perfect for the load capacity of a road or highway. 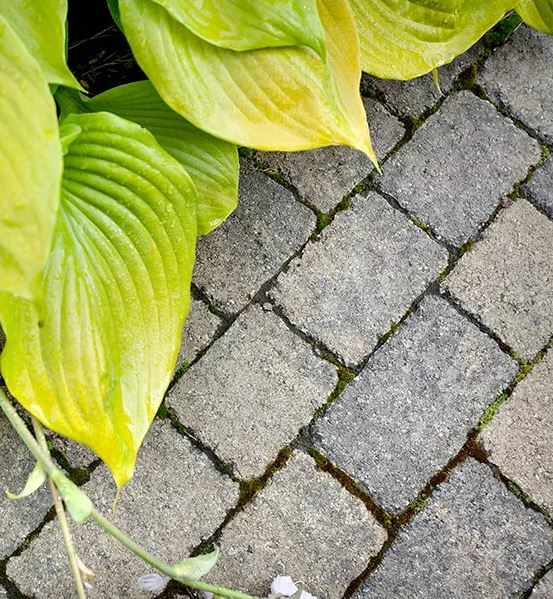 Protection & Maintenance: Once you decide which paver suits your project best, you want to protect it from the elements, especially during the winter months here in New England. Dry cast and wet cast pavers should both be sealed to prevent possible staining, chemical deterioration from any acids or salts, and color fading from use over time. We offer a variety of sealers for pavers such. 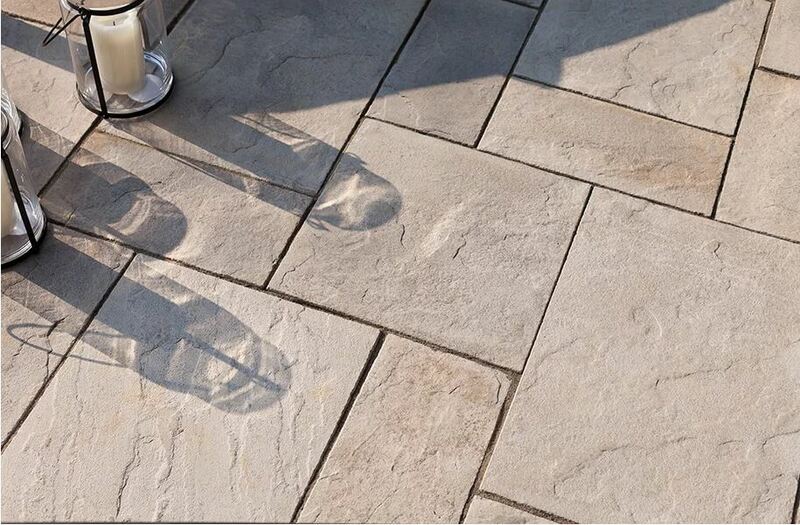 Alliance Low Gloss Sealer adds a mild sheen and is to be used only on dry cast pavers only. Our best seller, Prosoco’s Siloxane PD is a clear, no-gloss sealer that can be applied to wet or dry cast pavers. To further protect your new investment, it is recommended to use an ice melt that is safe for hardscape and masonry. Mr. Magic Premium Ice Melt is engineered to safely breakdown the ice without breaking down your pavers. Summary: Wet cast pavers offer more variety in color and finish, and they also typically cost a bit more and are generally less durable. Dry cast pavers are typically very standard in color but have high strength and are more economical, ultimately making them the more popular option. 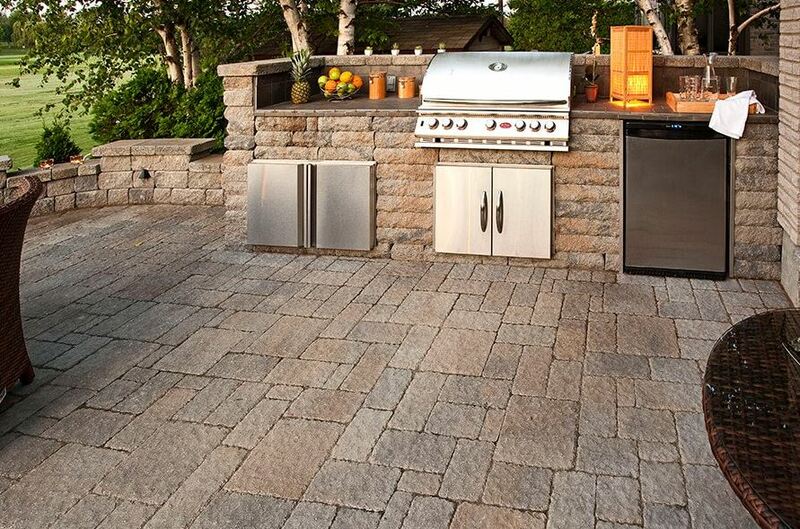 Here at TLC Supply we offer a multitude of both dry cast and wet cast items from leading paver manufacturer’s Techo Bloc, Genest, and Belgard.